Why Nu Vet for your puppy? Puppies have immature immune systems and the first two years of their lives are critical in laying the foundation for the rest of their lives. NuVet strengthens their immune system, while building and strengthening the cardiovascular, skeletal and nervous systems. It also helps protect them from the side effects of vaccinations and the stress of new and different environments. A lifetime of NuVet is cheaper than one major vet visit. Puppies and dogs that are on NuVet have beautiful coat and skin and are far less likely to ever suffer from allergies. 1. 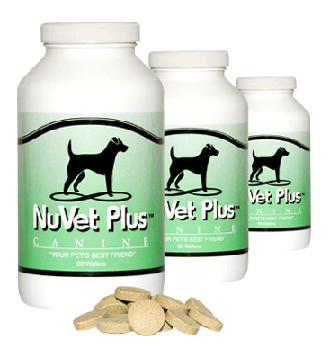 Nu Vet Plus Boosts the immune system. 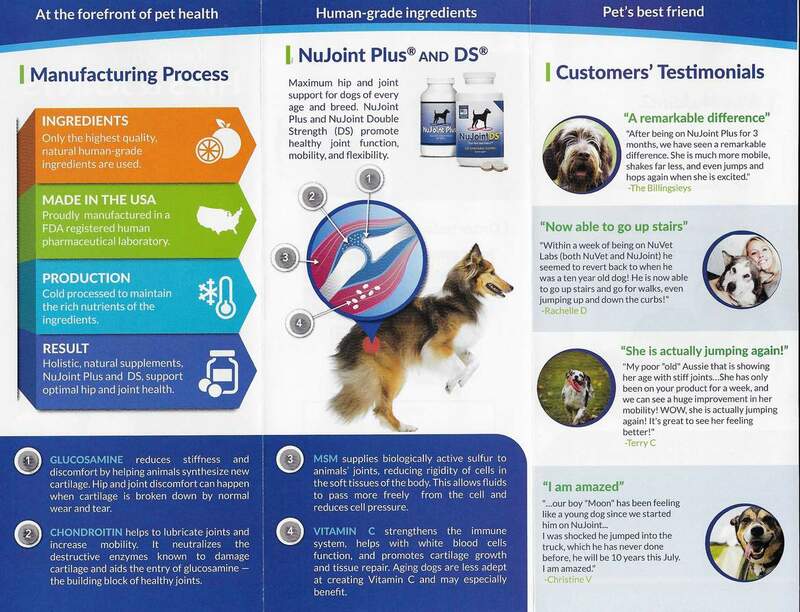 NuVet Plus is an immune system builder that will help strengthen your pets immune system as well as the cardiovascular, skeletal and nervous systems. It will help protect pets from the side effects of vaccinations and the stress of new and different environments. It is manufactured in a FDA Registered Pharmaceutical laboratory in the UNITED STATES, using ingredients that are sourced here in the states. This is done for the safety of YOUR pet. In the 16 years that Nu Vet has been on the market, they have a perfect safety record. No recalls, not one safety issue. 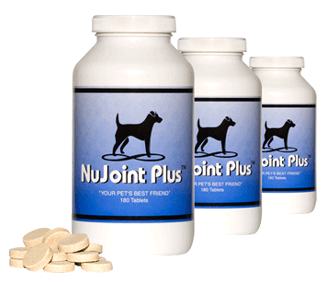 We are now starting our Lab puppies on the Nu Joint, we fell that Nu Joint will help the puppies to develop optimal, healthy joints in this very important time of development. keeping requirements For The 2 year health Guarantee, Thank you!